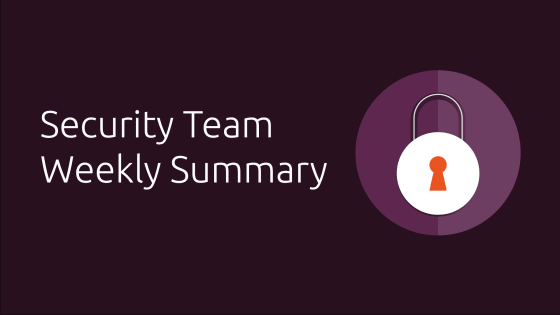 The Security Team weekly reports are intended to be very short summaries of the Security Team’s weekly activities. Triaged 195 public security vulnerability reports, retaining the 38 that applied to Ubuntu. Published 1 Ubuntu Security Notice which fixed 1 security issue (CVE) in 1 supported package. There was no weekly meeting on 25 September because the entire team was attending the Ubuntu Rally.